It is the racing game set to send shivers down Drive Club's spine. 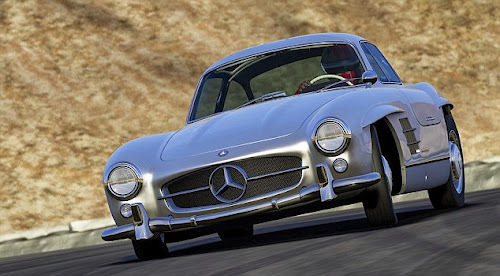 And with Forza Motorsport 5 boasting visuals like these, it’s not hard to see why. There are 29 confirmed cars set to feature in the game, including the Ferrari F12berlinetta and Pagini Huayra. There are also – for the first time in the game’s history – open-wheel cars including the Dallara Dw12 Indycar and Formula One cars such as the Ferrari 312T2 and McLaren M23. So far, there are four confirmed tracks – including Mazda Raceway Laguna Seca, Indianapolis Motor Speedway, Mount Panorama Circuit and Spa-Francorchamps. The addition of the latter stage is likely to please Forza fans most. Nestled in the Ardennes countryside of Belgium, the 4.3-mile Spa track is home to legendary corners like 'La Source' and 'Eau Rouge' and has been one of the most requested tracks from fans since the Forza series’ beginning. To ensure maximum authenticity, the environment has been laser-scanned and meticulously recreated at 1080p and 60fps. In comparison, the PS4 exclusive Drive Club looked remarkably last-gen - with muddy textures and the demo riddled with environmental 'pop up'. Developers Turn 10 Studios have also overhauled the physics engine. Working closely with Calspan – the leading tire testing organization in the world – they have developed a completely new and unique set of tire data, including tests and parameters that have never before been utilized in racing games. 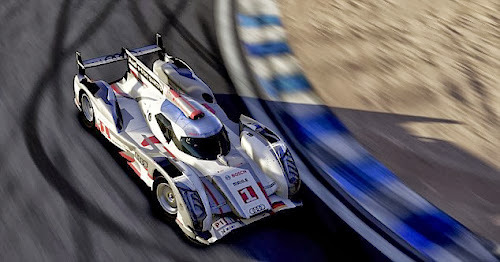 'Developing and improving the driving physics has, in many ways, become the central pursuit for the Forza Motorsport series,' said Forza Motorsport 5 creative director Dan Greenawalt. 'We are always chasing that perfect simulation where we can accurately recreate the infinite variables of driving in the digital world. At the same time, that pursuit is always tempered by the limits of what we know about the science of vehicle dynamics and the properties of high performance materials. For the player, this boils down to new level of immersion and challenge each time they play the game. Forza Motorsport 5 is an Xbox One exclusive released on November 22.